Below are some recent questions we've received regarding Lincoln Feed Bucket Cover, including answers from our team. Hello, please can you tell me if these covers fit feed buckets comfortably? By that I mean that they easily pull over and cover about an inch down over the rim of the bucket? 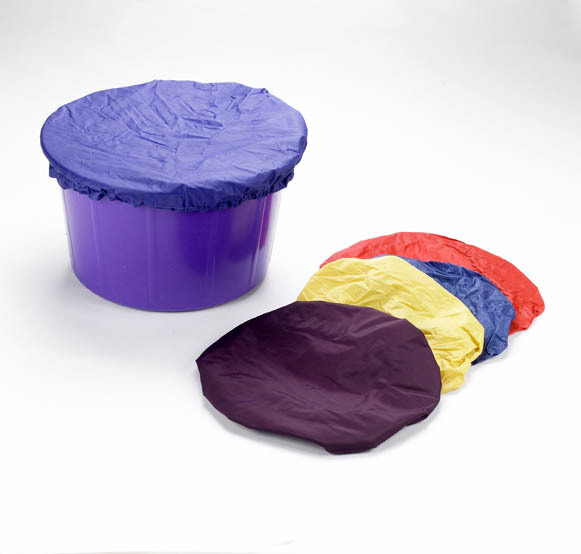 I recently purchased some covers from a company and they are very difficult to get on as they only just stretch over the lip of the bucket and no more. I would say they were water bucket covers rather than feed bucket covers although the company I bought them from insists they are for feed buckets. The Lincoln covers are specifically for feed buckets. They do reach down around one inch below the rim on a Lincoln Feed Bucket but this may vary if used with a bucket from a different manufacturer.